An enriched soil excellent for garden beds that need both filling and enriching. 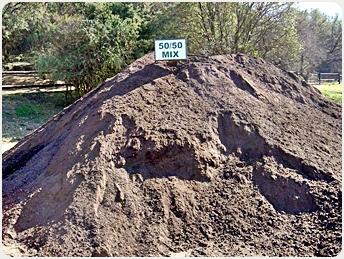 This is a mix between topsoil and compost (1/3 Compost, 2/3 Topsoil). Not ideal to be used as lawn dressing because it is not finely sifted.